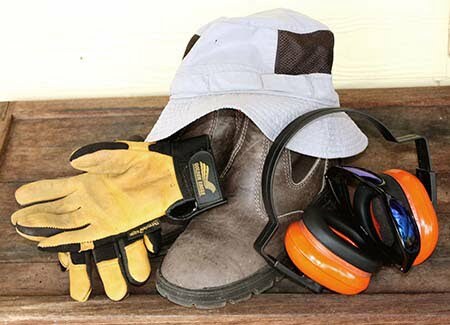 Mowing is probably one of these easiest gardening maintenance jobs on the Gold Coast to learn, but one of the most difficult to master. Keeping your turf healthy, while giving your grass a beautiful-looking finish, is an art form. Your mowing techniques, mowing frequency and the height that you’re cutting your grass will determine your overall finish. If you want your lawn to be the focal point of your garden, read on for a complete guide on how to cut grass properly and give your Gold Coast backyard a professional finish. The key to keeping your turf healthy and looking fresh is cutting your grass at the right height. Each different variety of grass has an optimal mowing height, so in order to determine what yours is contact our team of Gold Coast gardeners and they’ll be happy to provide some expert advice. If you’re unsure what your optimal mowing height is, always ere on the side of caution and raise the level of your mower blade to ensure you don’t scalp your turf. The key to cutting grass perfectly also depends on the conditions. During cooler winter periods on the Gold Coast, you can afford to put your mower blade down a couple of notches. During times of extreme heat, when your garden is under stress, mowing your grass higher will get the best results. Top Tip—Never cut away more than 1/3 of the height of your grass blade at any one time! If your grass has gotten out of hand, don’t be tempted to mow it all at once. Stick to this 1/3 rule and you’ll notice your turf looking healthier in no time. Again, mowing frequency is all to do with the environmental conditions. It doesn’t take a rocket scientist to realise your lawn will need more regular mowing when your grass is thriving. During summer periods on the Gold Coast your grass will be growing the most, so you’ll need to brave the heat in order to keep your grass from getting out of hand. Want to give your lawn that beautiful MCG look? Instead of mowing in all different directions, give your garden the perfect aesthetic finish by mowing in lines. Keep mowing back and forth until your backyard is complete. Before you know it, your garden will be the envy of the entire neighbourhood. Turf maintenance doesn’t stop at the lawnmower. When it comes to making sure your lawn is looking beautiful all year round, the devil is in the detail. Be sure to finish of your garden maintenance routine with a quick snip and edge, which can all be done with a brushcutter! 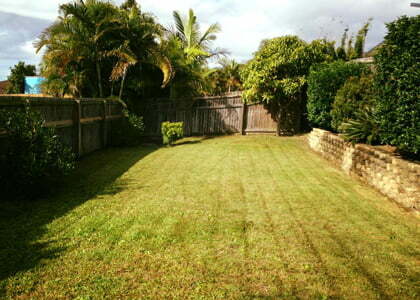 If you’re in need of lawn mowing maintenance on the Gold Coast, get a quote from Focal Point Landscape Maintenance!